Straight out of the Pilot Brewery at Left Hand we present Festival Fanatic. This beer was brewed for the 2017 Front Range Film Festival and, instead of creating just any porter, we created a porter brewed with Cholaca (pure liquid cacao). 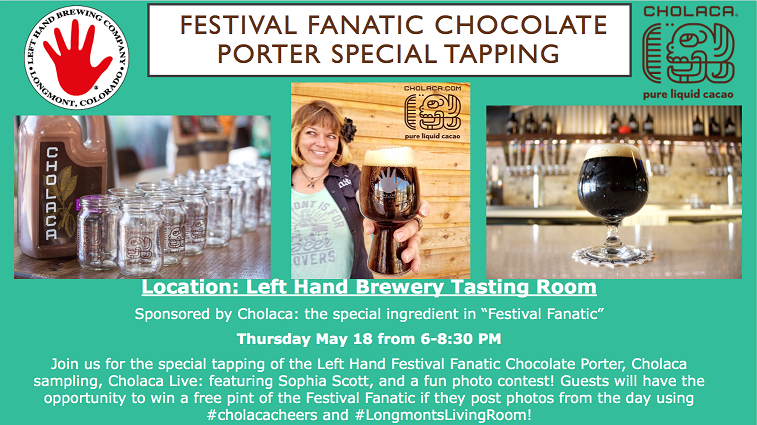 Stop in and hang out with the people from Cholaca, sample their amazing liquid cacao, score some free swag, listen to some live music, and receive $1 off Festival Fanatic pints.